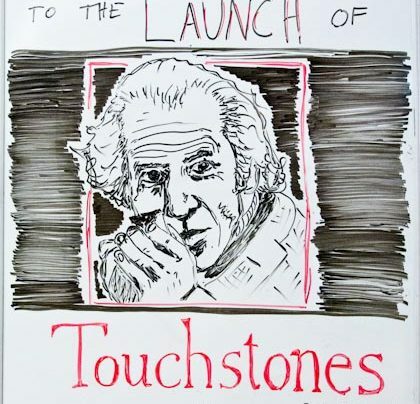 Whiteboard, invitation and photos from the launch of Touchstones: A Memoir by James McNeish, published by Vintage. Photography by Marta Starosta. 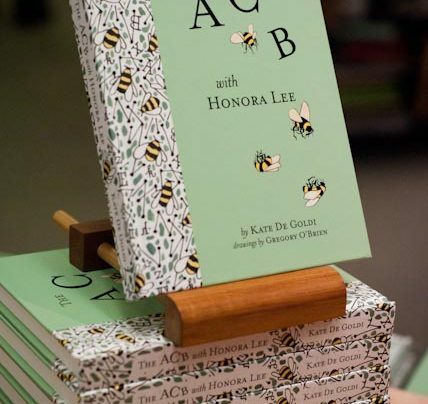 Invitation for and pictures from the launch of The ACB with Honora Lee by Kate De Goldi with illustrations by Gregory O‘Brien, published by Longacre Press. 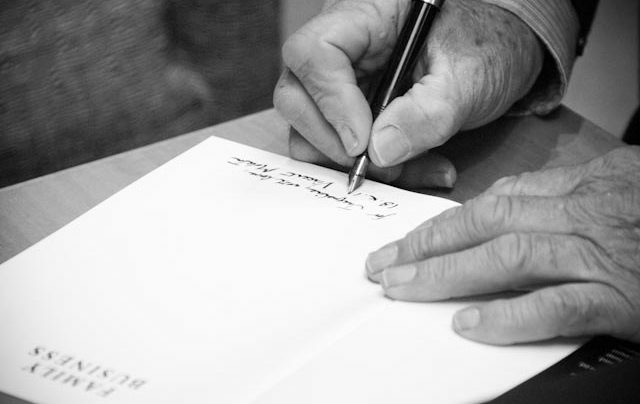 Photography by Marta Starosta…. 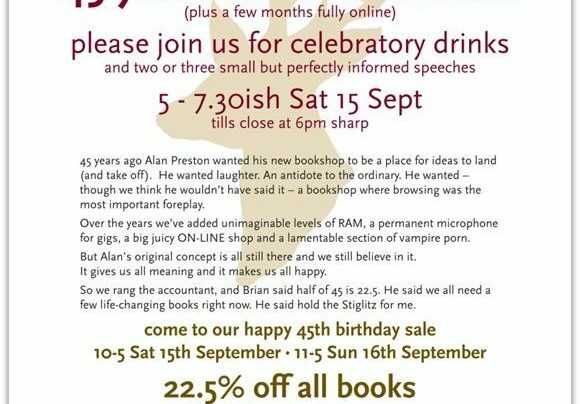 Unity turned 45, and we had a store-wide sale – as per the advertisement, followed by a party. 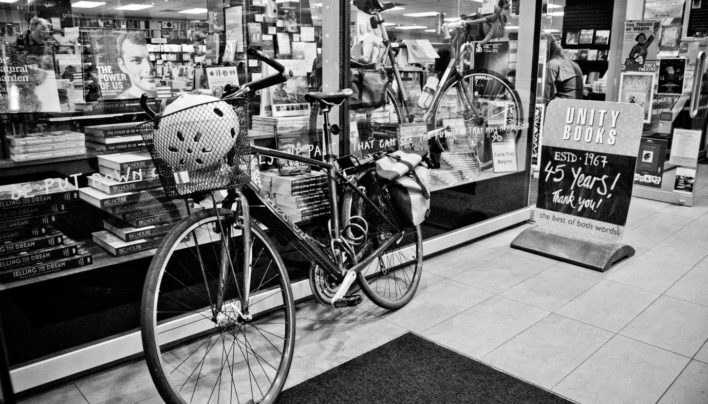 Customers came, bought and reminisced. 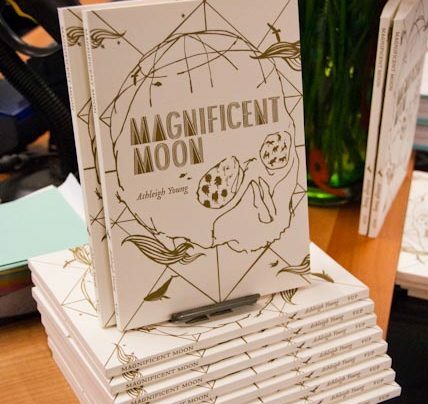 Invitation for and photos from the launch of Magnificent Moon by Ashleigh Young, published by Victoria University Press and launched by Harry Ricketts at Unity Books. Photography by Marta Starosta…. 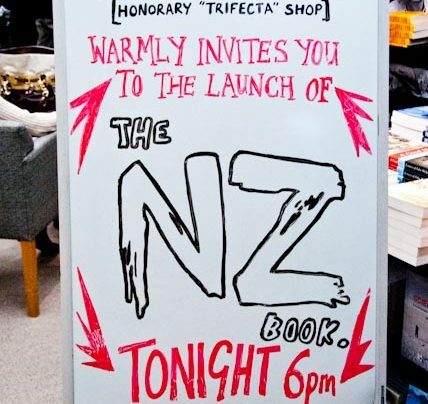 Flier, whiteboard and photos from the launch of The NZ Book by Nigel Beckford, Michael Fitzsimons, Jess Lunnon and Sandi MacKechnie, published by Fitzsimons Beckford and launched at Unity Books. 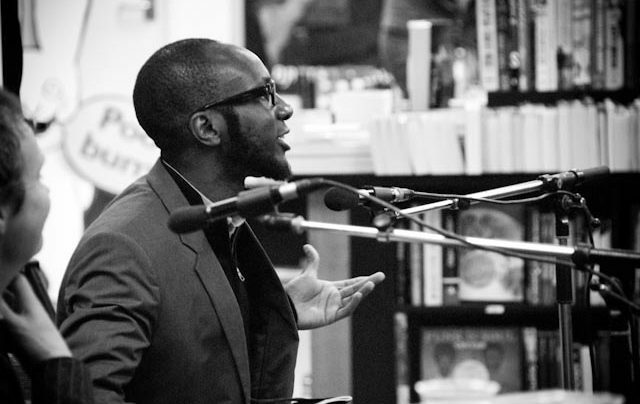 Teju Cole in discussion with Damien Wilkins in front of a captivated lunchtime audience. Photography by Marta Starosta. 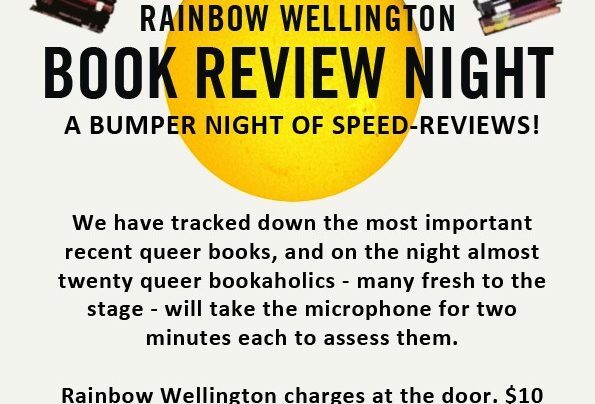 A semi-annual event run in conjunction with Rainbow Wellington, Rainbow review night consists of staff & customers speed-reviewing the most important new queer books. Photography by Marta Starosta.